Thoughts from Rosie (TMK Skye) on when ordinary people do extraordinary things. I’m sure the same thing is happening in warehouses and villages halls all over the UK. Toppling piles of cardboard boxes, mountains of black bags and crates full of water, baby bottles, and our desparate desire to help. 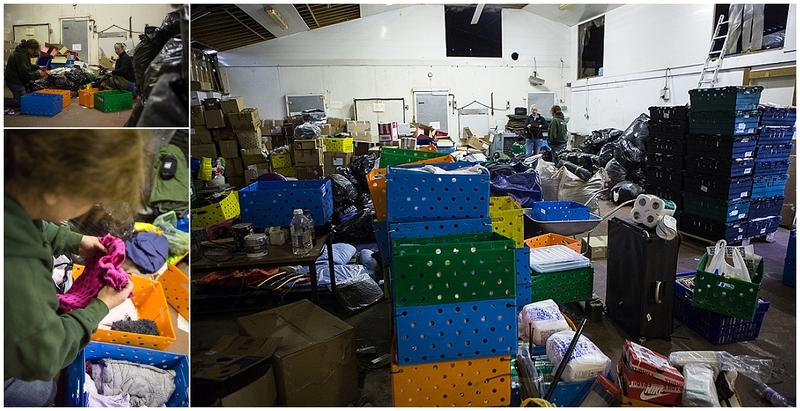 A few weeks ago, moved by the terrible images and stories of the refugees attempting to reach Greece, a young couple from Skye and Lochalsh decided to turn their lives upside down and turn their empty warehouse into a space to collect goods to drive directly to the refugees arriving in their 1000’s daily on the Greek island of Lesvos. They teamed up with the charity Stella’s Voice who have years of experience of moving goods across Europe for advice. They put out appeals on facebook and before they knew it their empty warehouse was full. 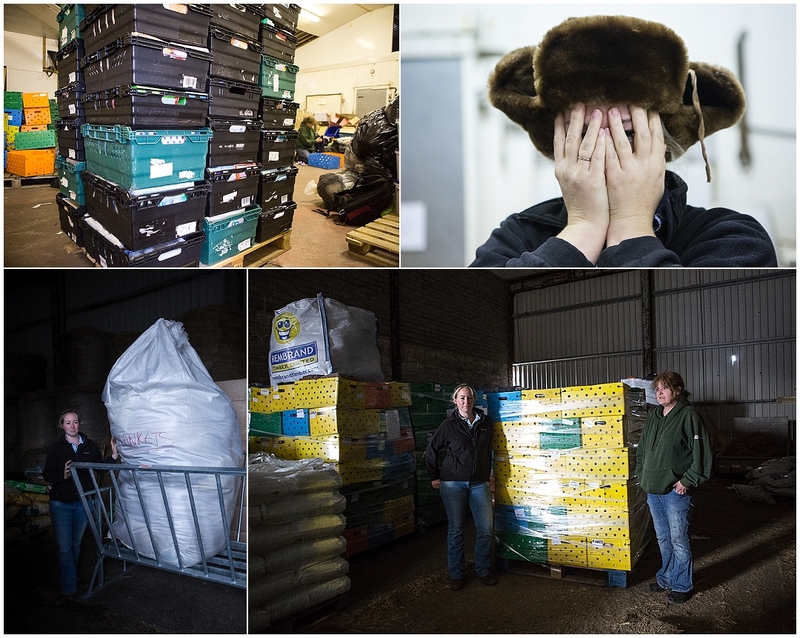 3 weeks later teams of volunteers have sorted, packed, boxed and made pallets of goods ready to fill a truck. 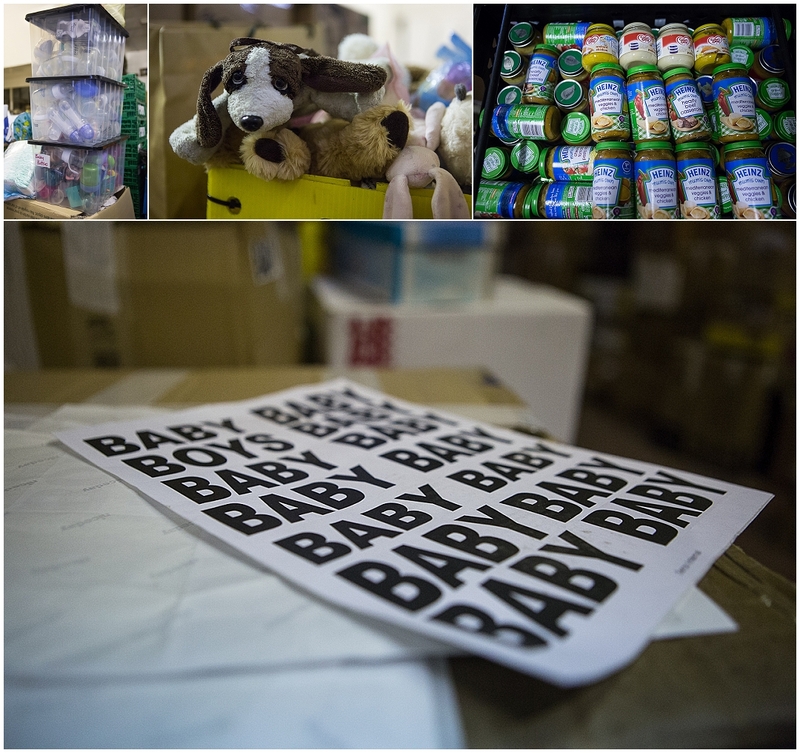 The packing goes on as you can see in the images, there are still labels “baby”, “boys”, “girls” for each crate etc to help those in Greece distribute the contents as easily and quickly as possible to those who are in such need. The enormous bag full of blankets is so large I had to call Holly into the photo for scale – the same with the pallets all ready to go. The first day I wandered in with some goods to donate Holly, Dave and team were just finding their way with sorting and packing and the first pallet load was taking shape. Now half an enormous warehouse is full. All in under one month. For a very humanitarian look at the stories of individual refugees and those who are caring for them on Lesvos I would highly recommend following Humans of New York on FB or twitter. The stories of those who make it that far are incredibly moving. And to Holly and Dave who are doing all of this in the images below, I think you are extraordinary.